I don’t know how to send this to you, so I’ll post it here. To everyone else, this is purely my personal opinion. I am a life-long fan of SimCity and am thrilled to hear that you are finally making a new one. I bought every version of SimCity through the years, except Societies. 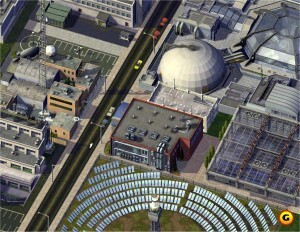 In fact, SimCity is a big part of why I became an urban designer/architect. I am sure that you will make a wonderful game, but I hope it’s not too late to give you some suggestions. I won’t get into ideas that I’ve seen listed elsewhere, such as traffic – I know you’ve got that covered. True Regionalism – SimCity 4 took a big step toward regionalism, but now we can take it all the way. I think it would be wonderful to look at big picture issues. If you could actually have a single power or water source, airport, etc. for an entire region, that would be great. Getting passengers and freight to and from an airport several cities away efficiently would be a fun challenge. Some of this was theoretically possible in SimCity 4, but difficult to set up and manage. Public Transport – Previously, public transport functioned like personal transportation; Sims didn’t wait for a bus or train and didn’t have to transfer from one line to another. Vehicles – Sims should ride in vehicles with passenger capacities that are affected by traffic. If a bus is stuck in traffic, we should be able to create bus only lanes. 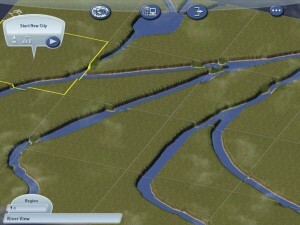 Routes – Cities In Motion allows players to lay out transport routes. I would love to see a simplified version of this in SimCity. Where do Sims want to go, and where do they transfer? It might be too much of a pain to bother with every single bus route and stop, but it makes no sense to plan a rail network without thinking about it in terms of lines. You don’t have to go as far as the timing and maintenance of vehicles, as you do in Cities in Motion (more annoying than interesting to me), but it would be nice to be able to increase the capacity of a line over time. It might be too complicated for the casual player, so maybe you could have an automated option. Radii for transportation – I think we need pedestrian sheds for public transportation. Remember that people are willing to walk further for a fast service than a slow service. Water sources and sewage treatment/disposal – I live in Washington, DC and we get our water from the dirty Potomac River, whereas a place like Portland, Oregon gets its water from a protected watershed that needs little treatment. Both cities discharge treated sewage into their rivers. DC discharges downstream from the source of course, but there are other communities upstream from DC and there have been findings of pharmaceuticals entering our drinking water even though it is treated. When there is heavy rain, untreated sewage spills into the river. I think this is a great concept to introduce to SimCity, as it remains a serious issue for our society. Then the question is how do you get the water to the city? Is it an aqueduct like the LA river or underground pipe? Streamlining – I understand that SimCity is an inherently complex game and developers are always looking for ways to make their games more accessible for a wider audience while retaining depth of game play, and I have some ideas for this. Budgeting – Some people like getting into the nitty gritty of financing and fine tuning each school, hospital, etc. I find it a chore to constantly be balancing striking teachers with overspending. These types of things could be automated for new players or those who have no interest. Those who want to do it could be rewarded with an efficiency bonus, adding depth of gameplay and simulation. Area of effect for services – I like how Simcity 4 introduced an area of effect radius for many services. The problem is that when radii of services overlap its very difficult to to balance ambulance radii with patient demand, for example. Also it’s very difficult to avoid some areas with poor services due to the geometry of the circle. I think districts would work better and more realistically, then you could add a hospital to a district if needed. It could be auto districting, and for those who would like an efficiency bonus, they could lay them out manually. Realism/Density – In SimCity 4 when you have a medium density zone next to a low density zone, sometimes you end up with 15-20 story buildings next to single story buildings. I would like to have a little more control so that this doesn’t happen unless I wanted it to. From what I’ve seen so far and your previous track record, I have total confidence in you. Good luck!